While the U. S. courts have granted civil rights to corporations, Bolivia has enacted a new law enshrining the legal rights of nature. 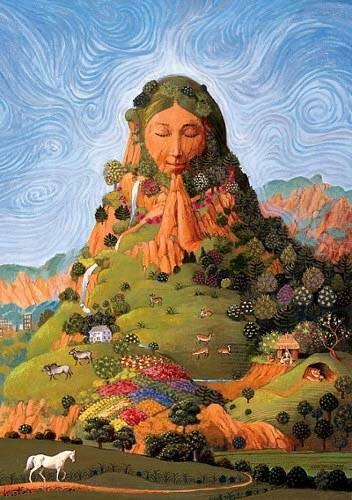 The “Law of Mother Earth and Integral Development for Living Well,” promulgated by President Evo Morales on October 15, establishes eleven rights of Mother Earth, including the right to life, biodiversity, pure water, clean air, and freedom from genetic modification and contamination. The concept of nature as a legal subject—a protagonist with its own interests and rights—is a novel approach in the field of environmental law, offering a potentially revolutionary tool for groups engaged in environmental conflicts. Still, given Bolivia’s structural dependence on extractive industry—with minerals and natural gas constituting 70% of its exports—and the Morales government’s continued reliance on these sectors to generate state revenues for poverty reduction and industrialization, whether the new law will be useful in challenging government-supported development projects remains an open question. Credit: EarthFirst NewswireThe new Mother Earth law, elaborating on a declaratory “short law” adopted by the Bolivian congress in December 2010, has been a high priority for Bolivia’s indigenous and peasant movements, and results from a commitment made by Morales at the World People’s Conference on Climate Change held in Cochabamba earlier that year. Key provisions include an extension of Bolivia’s agrarian reform program (with women, indigenous peoples, afro-bolivians, and migrant settlers having preference for redistributed lands), establishment of a Mother Earth “Ombudsman” and a Climate Justice Fund, a ban on genetically-modified seeds and crops, and a requirement that all infrastructure and development projects respect the natural environment and provide remediation for any incidental damages. Taken together, these and other measures are designed to bring about a new model of “integral development” that balances the exploitation of natural resources to meet human needs with environmental protection. The law reflects a fundamental tenet of the Morales government: that it’s possible for the Bolivian state to harness extractive industry, without destroying the environment, for the benefit of impoverished Bolivians, allowing them to “live well” (vivir bien), in equilibrium with nature. 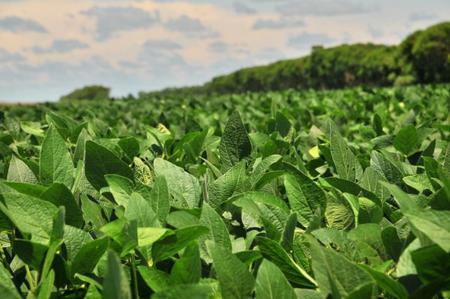 The producers argue that the ban will also limit other crops—such as corn, sugar, and rice—that are planted in rotation with soy, driving up costs and causing possible shortages in the domestic market. Morales has agreed to reconsider the ban, in the interest of ensuring food security and expansion of the agricultural frontier. Although Morales announced a 5-year program in June 2010 to completely eliminate genetically-modified crops, the current “food sovereignty” law bans GMO seeds only for crops indigenous to Bolivia (such as potatoes and quinoa), but allows transgenic varieties for non-native crops, such as cotton, rice, sugar cane, and soy. From another perspective, the country’s two leading indigenous federations CONAMAQ and CIDOB (representing highland and lowlands indigenous groups, respectively) have disassociated themselves from the Mother Earth law, which they view as betraying the principles of vivir bien and the original declaratory legislation. The new law, CONAMAQ argues, is about legitimizing the Morales government’s developmentalist agenda, not about rethinking the extractivist model and transitioning towards alternative, more ecological, modes of development. Further, while the law recognizes the right of indigenous groups to free, prior, and informed consultation regarding development projects that affect them, it does not reflect the goal of achieving their consent, as required by the UN Declaration of the Rights of Indigenous Peoples. Some environmental critics see the law as rife with vague and contradictory promises, geared both to protecting the environment and to furthering extractivist development. This could set the stage for more divisive conflicts, they warn, as both sets of interests lay claims to the law’s protection. Whether the new law might provide a useful tool for those engaged in current environmental conflicts with the government, such as indigenous groups resisting the TIPNIS highway in Bolivia’s Amazon region, remains to be seen. Clearly that’s not what the Morales government has in mind. At the promulgation ceremony, Garcia Linera contrasted the Mother Earth law’s new paradigm with the posture advanced by “environmental fundamentalists” in the TIPNIS (indigenous leaders and NGOs), whose efforts to keep the state at bay, he argues, only provide opportunities for “green capitalists” to continue contaminating the environment while TIPNIS inhabitants remain in poverty.